We all get irritable and angry at times, but Irritable Male Syndrome (IMS) has deeper roots. In the book I describe a number of key symptoms of IMS, including hypersensitivity. I feel like I have to walk on eggshells when I’m around him. I never know when I’m going to say something that will set him off. He’s like a time bomb ready to explode but I never know when. Nothing I do pleases him. No, nothing’s wrong. I’m fine. Or they don’t say anything. They increasingly withdraw into a numbing silence. Does this sound familiar? If you think someone you love may be suffering from IMS, take this simple quiz to find out. Please add the numbers and compute your score which can range from 10 to 30. 10-15. This guy is on a pretty even keel. 16-22. He can be a bear to live with at times. 23-30. You’ve got a man who suffers from Irritable Male Syndrome which could lead to depression or aggression if not treated. If you need immediate help please contact me with your specific concerns. You may also find my books and blog posts valuable. What has been your experience with IMS? What have you done that has helped? What questions do you have that we can explore together? Please share your comments and questions below. Jed Diamond, Ph.D. has been a marriage and family counselor for the last 44 years. 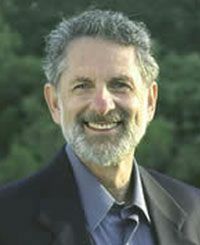 He is the author of 10 books, including Looking for Love in All the Wrong Places, Male Menopause, The Irritable Male Syndrome, and the forthcoming MenAlive: Stop Killer Stress With Simple Energy Healing Tools He offers counseling to men, women, and couples in his office in California or by phone with people throughout the U.S. and around the world. To receive a free subscription to Jed’s e-newsletter go to www.MenAlive.com. If you are looking for an expert counselor to help with relationship issues, write Jed@MenAlive.com.